The Right Excellent Sir Simeon Daniel, was born to Joseph Daniel and Melvina Daniel, née Archer at Barnes Ghaut Village in Saint Thomas Parish on Nevis, West Indies. He received his early education at St. Thomas’ Government Elementary School in Nevis. He entered the teaching profession as a Pupil Teacher in 1950 and attained the Leeward Island Teachers’ Certificate in 1957. A driven man, with a strong desire to become a lawyer, The Right Excellent Sir Simeon Daniel began his legal tutorial at the Council of Legal Education School of Law England in 1962. While still a student (1960-1966) he worked as a clerk at the London County Council and later as an Executive Officer, and in 1965 received a recognition grant for outstanding meritorious work from the said Institution. He continued his education at the Inner Temple of the Inns of Court in London. In 1966 he became Barrister at Law and was called to the Bar in England. He returned to Nevis in 1966 and served as Assistant Secretary in the Ministry of External Affairs and was admitted to the Local Bar that same year. The following year he was appointed Crown Counsel and later Registrar of the Supreme Court and Additional Magistrate in the State. He entered Private practice in 1969 in St. Kitts - Nevis. In 1970, The Right Excellent Sir Simeon Daniel was among the founding members of a political party called the Nevis Reformation Party (NRP) which was founded on the principle of Equality and Empowerment for the residents of Nevis. He served as Chairman of the Local Council from 1972 to 1980 and was elected to the National Assembly in May 1975 and February 1980. Following the formation of a Coalition Government of the People’s Action Movement of St. Kitts and the Nevis Reformation Party, The Right Excellent Sir Simeon Daniel assumed the Honourable Portfolios of Minister of Finance and Nevis Affairs on 19 February 1980. In September1 983, as a result of the Independence Constitution, Nevis was given greater autonomy and The Right Excellent Sir Simeon Daniel became the first Premier of Nevis serving from 19 September 1983 (Independence Day) to 2 June 1992. During his tenure as Premier and leader of the Nevis Reformation Party he was instrumental in improving basic quality of life services for Nevisians; reliable electricity, water and improved roads. The Government run pre-schools were opened in Nevis for the first time; the Nevis Sixth Form College was established and a multipurpose center was set up for the welfare of educating the masses. Land ownership became a reality for Nevisians, when under Sir Simeon the Land Reform Program was set up and it became the first such program in the OECS. The Nevis Housing and Land Development Corporation gave land ownership to ordinary Nevisians at $3,000 per half acre and $6,000 per acre. In addition, domains for residences were newly established in Ramsbury, Cades Bay, Hamilton, Prospect and other areas around Nevis. A new trust was seen in Tourism; when under his leadership he attracted the Four Seasons Hotel to Nevis, bringing much needed employment to its residents. 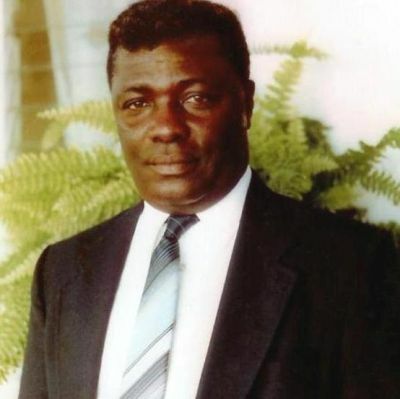 A visionary leader, he was a driving force in the establishment of the Nevis Financial Sector. Sir Simeon was instrumental in laying the foundation for the developments that was essential for moving Nevis forward. In 1992 his party lost the local election, and his successor was Vance Amory of the Concerned Citizens Movement (CCM. The Right Excellent Simeon Daniel died on 27 May 2012. Dr Simeon Daniel other significant accomplishment and awards include the following. He established the Bank of Nevis Ltd. in 1985. Doctor of Laws (Honorary), Marquis Giuseppe Scicluna International University Foundation, 1987; Albert Einstein Bronze Medal for Peace, Albert Einstein Bronze International Academy Foundation, 1987; International Order of Merit Medal by the International Biographic Centre of Cambridge England in 2000; The International Biographic Centre of Cambridge England inducted him in their hall of fame for outstanding work in the field of Government in 2005; and an Award of Commendation as Founder and Supporter of Bank of Nevis Ltd.
Today, there have been 26 visitors (60 hits) on this page!